New Delhi, April 11: The order halting the release of PM Narendra Modi biopic in view of the Lok Sabha elections doesn't put any restrictions on NaMo TV channel, the Election Commission has clarified. A spokesperson of the EC had said the poll panel was considering a complaint against the telecast of NaMo TV channel. The EC has received clarifications from the Delhi Chief Electoral Officer regarding pre-certification of political advertisements on the channel and was reviewing it. 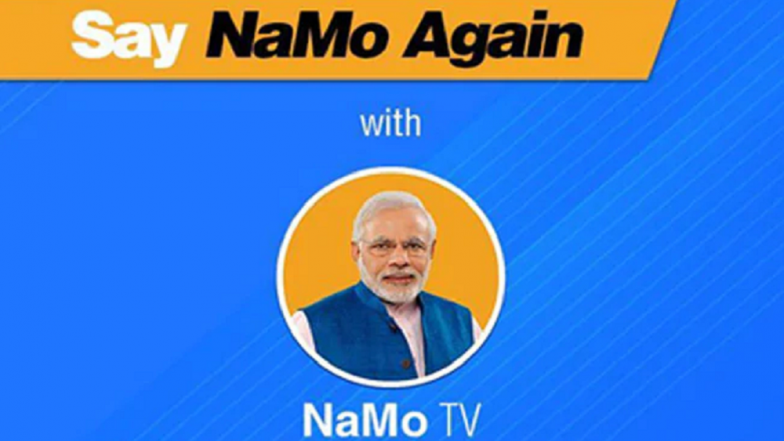 On Wednesday, the EC spokesperson had indicated that NaMo TV had also been banned along with Prime Minister Narendra Modi's biopic till the end of Lok Sabha elections. However, later in the day, she clarified that she had said so because she "misinterpreted" the poll panel's order on PM Modi's biopic, believing it applied to the TV channel as well. She said that complaint against NaMo TV and clarifications were being reviewed. NaMo Food Packets Distributed Outside Noida Polling Booth During Voting. The Election Commission on Wednesday stopped the release of Modi's biopic till the Lok Sabha elections conclude. "Any biopic in the nature of biography or hagiography sub-serving the purposes of any political entity or any individual entity connected to it or which has the potential to disturb the level playing field during the elections should not be displayed in electronic media, including cinematograph during the operation of MCC (model code of conduct)," the EC said in its order. PM Narendra Modi Biopic: Supreme Court Rejects Plea Calling for Ban on Vivek Oberoi Film, Asks Election Commission to Decide. The poll panel also said that any poster or publicity material concerning any such certified content which either depicts a candidate for furtherance of electoral prospect directly or indirectly shall not be put to display in the electronic media in the area where MCC is in force. The movie was supposed to release today.